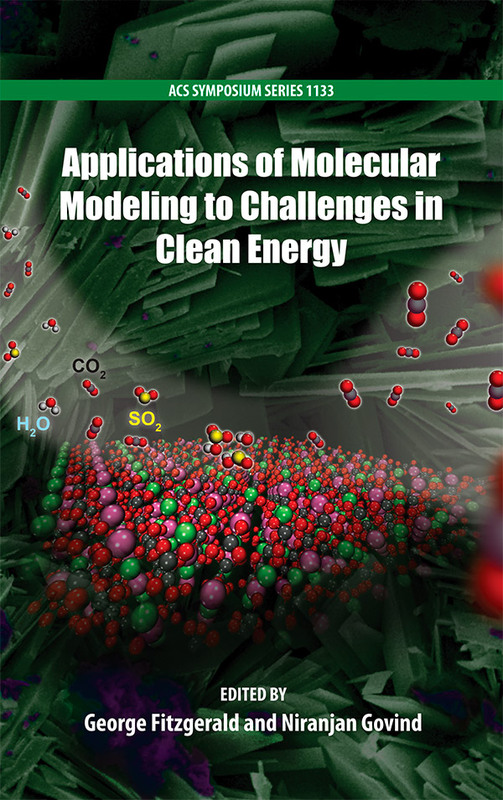 Congratulations to the scientists at Pacific Northwest National Laboratory for their outstanding contributions toward Applications of Molecular Modeling to Challenges in Clean Energy. This 245-page book, published by the American Chemical Society, is based on invited talks from a multi-day symposium at the society's 2012 spring meeting. 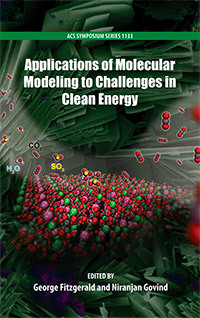 The peer-reviewed book focuses on using computational modeling to answer fundamental questions in catalysis, biofuels, and other sustainable solutions. Niranjan Govind at PNNL and George Fitzgerald at Accelrys, Inc. organized the ACS symposium and edited the book. Govind, who works in the Environmental Molecular Sciences Laboratory, develops methods and algorithms in electronic structure theory and applies these theories to real-world problems. Vanda Glezakou and B. Peter McGrail, PNNL, discuss computational studies of the chemical processes involved in wet supercritical carbon dioxide, which is used in carbon sequestration. Their 18-page chapter focuses on bonds breaking and forming as the fluid interacts with mineral surfaces and other solids. See Chapter 3, "Density Functional Simulations as a Tool to Probe Molecular Interactions in Wet Supercritical CO2." Yeohoon Yoon, PNNL, explains carbon dioxide's behavior on the surface of rutile TiO2(110). He also covers the role of oxygen vacancy defects in changing carbon dioxide's performance, providing a fundamental understanding of a topic with implications in carbon sequestration and fuel production. His 15-page chapter shows how these insights were obtained using dispersion-corrected density functional theory and ab initio molecular dynamics. See Chapter 4, "Characterization of CO2 Behavior on Rutile TiO2(110) Surface." Ming-Hsun Ho, Shentan Chen, Roger Rousseau, Michel Dupuis, R. Morris Bullock, and Simone Raugei, PNNL, show how their nickel-based catalysts, inspired by fast and efficient enzymes, produce dihydrogen at speeds comparable to those of bio-processes. Their 22-page chapter is based on their research at the Center for Molecular Electrocatalysis, an Energy Frontier Research Center led by the national laboratory. See Chapter 6, "Bio-Inspired Molecular Catalysts for Hydrogen Oxidation and Hydrogen Production." In addition, Vanda Glezakou provided the artwork that graces the book's cover. The image, based on her work and that of PNNL's H. Todd Schaef, depicts the potential of carbonate minerals to remove sulfur dioxide, a troubling compound in the quest for clean energy. The image was created by Cortland Johnson, also from PNNL.